We offer dine in, carry out and delivery. We also cater with bagged lunches and platters. Order Online! Yep! You heard us right....We are now open later Monday - Friday. Stop by and grab a sandwich or salad or Order Online and we will have it ready! now available! Get a re-loadable Baggbys gift card just in time for the holidays! 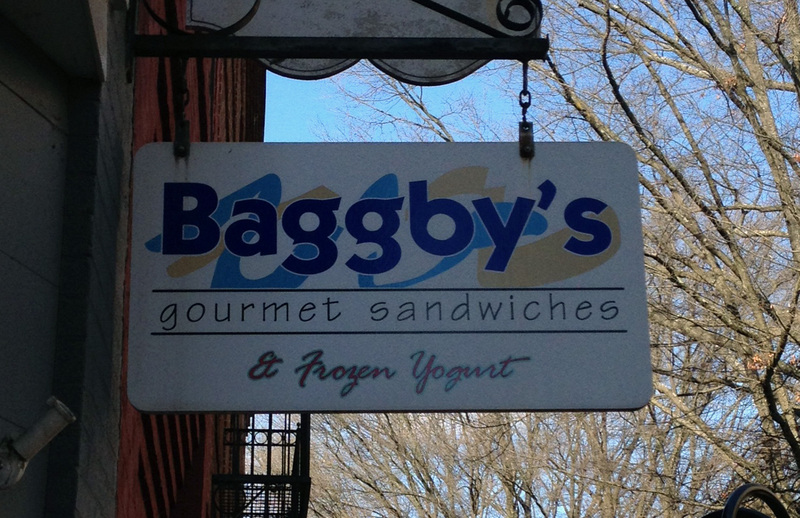 Stay up to date with Baggby's. Check out our Facebook and Google-plus! Order on the go using the Baggby's mobile apps!